If you’re remodeling a kitchen or bath in an existing one, North American Granite and Marble with our dynamic and skilled team can help you achieve a beautiful, affordable solution to fit your lifestyle. We have been serving Houston area builders, home owners, contractors and decorators for over 10 years of experience. Our company will provide you with the most personal attention to detail during and after your project. 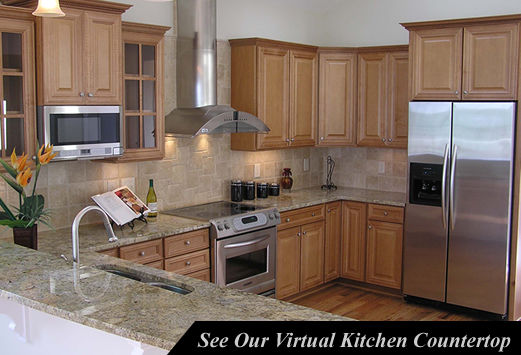 Allows you to personally select your stone slabs from our showroom and from many area suppliers to achieve your perfect look , or please browse through our virtual kitchen to select your favorite granite to customize your new kitchen countertops.